Updates to Glinda's profile since your last visit are highlighted in yellow. God has smiled on me!! He has truly been good to me and my family. I recently married my "Soul Mate" on 10/26/08. Jackie was God sent and sent at the right time I must say. Getting too independent was something that had started to take its toll on me. God saw fit to bless me with a "Seasoned Brother" of 62 years of knowledge. I will not complain on some days he thinks and acts younger than me. My family has blossomed. I must say being a mom and grandma is such a blessing. ALL MY CHILDREN!!! I gained 3 new daughters and 11 grandkids and 4 Sons-in-law. WOW!! Yes and baby do I look good!! FAT, FINE & FORTY EIGHT!!!!! Life is GREAT!!! They all enjoy hanging out with me and I can say "l like me too." I completed my Bachelors Degree in Human Services in Dec '08. OK! My Masters Degree in Social Work will be put on hold until I "Master" being a good "Wifey" to this "Man of God" that I have been blessed with. I just accepted a new position here at IACH/Ft Riley as a Social Work Services Assistant. So maybe God will use me in this capacity until I decide if getting my Masters is a priority or not. All in All Life is Good in the Hood. Amen. It is always a blessing to come back to Gary to "Holla" at my girls on the block. Karen Heard, Taryn Eastland-Grant & Darnella Mason- Randolph have been in my life forever. Growing up with these girls has given me a bushell of laughs. We have shared some happy times and sad times together. The times we did/do share have made us turn out to be pretty decent citizens in the US of A. Attending Dear Ole' Roosevelt made life a little more fun too!!! Me and Karen went from ridin' on tricycles and bikes on 23rd and Tennessee to rollin in that '60 something red Mustang up and down the way. My mom was not too pleased with letting Karen ("Moonbeam") drive me around but she soon gave in. We were a hot mess! She was thin and I was a little fluffy!! We looked like a Meatball and a string of Spaghetti walking side by side!! What a pair we were and that friendship still lives on!!! Me and Taryn walked to and from school on a daily even when I was full of baby Marsha our Jr. year. She never forgave me for making her an aunt at such an early age. Then she shortly left me and married my welding buddy Darryl Eastland. I was the one that needed a husband not her. So, I never forgave her until I got married. And then there's Darnella "Ms. Drill Team Commander." Me and her was doing our thang at West Side marchin' it out on the floor with the 'Velt Girl's Drill Team. One day at practice I think she hit me with her weapon or was that somebody else "on purpose I think." I must have been thinkin' I was cute or something of that nature and forgot to duck. Me ("Shorty") and Darnella ("Ironwood") both showed out and did our thang at those Drill meets with those weapons. Those "Drill Meet" bus rides were the BOMB too! This is my story and I'm sticking to it!! If either one of these ladies should contact you and try to change these stories don't listen to them. My stories - THE END! Glinda Thomas Johnson has a birthday today. Glinda Thomas Johnson posted a message on Charisse Davis' Profile. Glinda Thomas Johnson posted a message. IT'S THE GOD IN ME!! HAVING A GOOD TIME IN ST LOUIS! 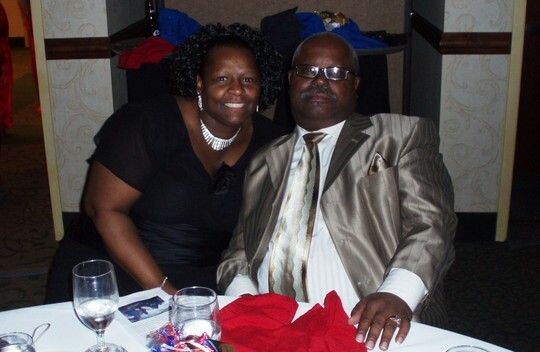 REV GLINDA JOHNSON ~TRIAL SERMON AUGUST 10, 2014 @ 8:00 AM PLEASE KEEP ME IN PRAYER!! See you all real soon!!!! !